The Meadows Foundation is a private philanthropic non profit organization centered in Dallas, Texas. The Foundation sought an overhaul of their usual annual report. 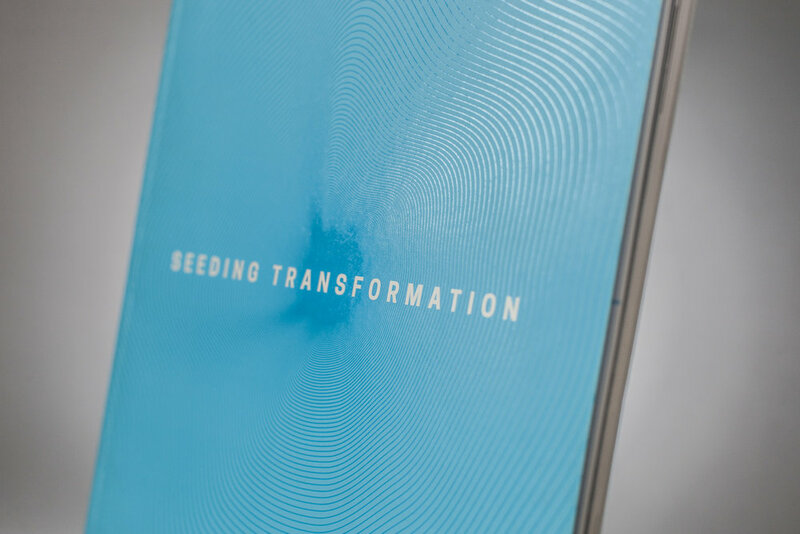 The Foundation’s president developed the narrative around growth as the result of years and years of meticulous seeding and nurturing. The Foundation's board wanted the design to show this growth without using the obvious imagery or visuals of gardening and vegetation. The cover needed to stand out against reports from similar institutions, so a stark bright color and minimal design were chosen. The design was inspired by Frank Stella paintings with the intent to allude to the numerous rings that form in tree trunks. The book was printed with a raised uv coat to give the rings a prominent yet subdued texture. The book’s layout needed to appeal to the various charities, donors, and grassroots organizations that support the Meadows Foundation.